In October 2016, the Khurdopin Glacier in Pakistan began a rapid surge after 20 years of little movement. 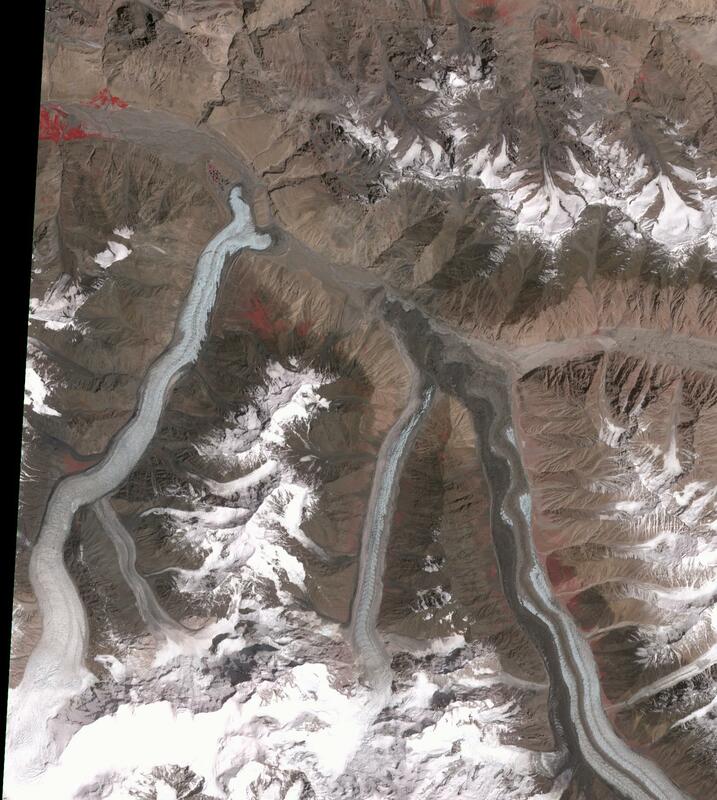 By March, 2017, a large lake had formed in the Shimshal River, where the glacier had formed a dam. Fortunately, the river carved an outlet through the glacier before the lake could empty catastrophically. 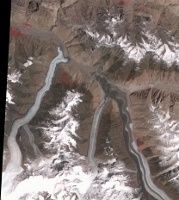 In this pair of ASTER images, acquired August 20, 2015 and May 21, 2017, the advance of the Khurdopin Glacier (dark gray and white "river" in lower right quarter of image) is obvious by comparing the before and after images. The images cover an area of 25 by 27.8 km, and are located at 36.3 degrees north, 75.5 degrees east.